In 2014, Nanaimo Search and Rescue was lucky enough to have a wonderful community member step forward with an offer of a million dollar donation. This donor is a pillar of our community, and someone we have worked closely with over the previous years. The offer came with only one caveat- that we use the funds to build a new SAR hall. 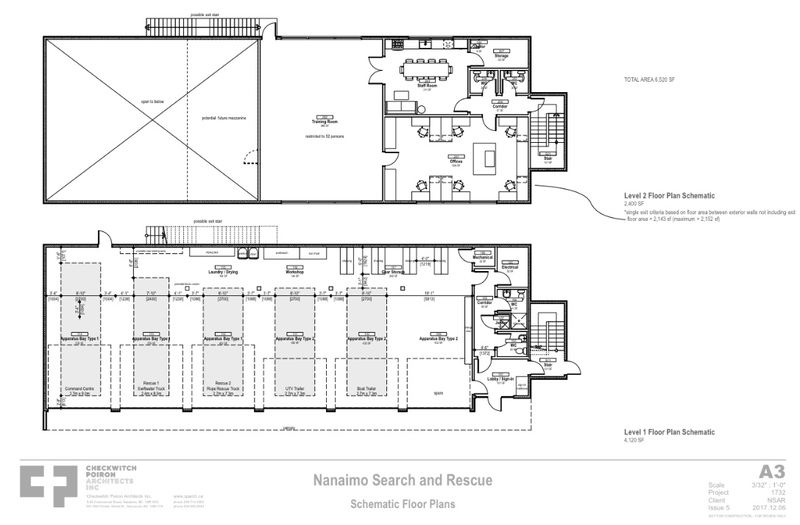 This began our search for suitable land, and a three year process which saw us working closely with the City of Nanaimo and the Regional District of Nanaimo as partners in creating a lasting legacy for volunteer emergency response in Nanaimo. A parcel of land was identified on Nanaimo Lakes Road, near Colliery Dam Park, that would serve NSAR, the city, and residents well. This location is ideal due to it’s close access to our most serviced area and vast nearby training grounds. NSAR is excited to be taking these steps forward in our Legacy Building Project, and are pleased to announce the following corporate partnership options. Gold Partnership: $50,000 in-kind (building supply/labour) or cash donation. Your, or your company’s name/logo will be listed on temporary signage at the building site during construction. Once complete, your or your company’s name will be prominently and permanently inscribed on a glass insert within the lobby of the building. Name recognition will also be permanently added to our website, and all donors thanked in person at our Grand Opening ceremony. Silver Partnership: $25,000 in-kind or cash donation. Your, or your company’s name will be permanently inscribed on a glass insert within the lobby of the building. Name recognition will also be permanently added to our website, and all donors thanked in person at our Grand Opening ceremony. Bronze Partnership: $10,000 in-kind or cash donation. Your, or your company’s name will be permanently inscribed on a glass insert within the lobby of the building. Name recognition will also be added to our website for a period of two years, and all donors thanked in person at our Grand Opening ceremony. Friends of NSAR options are also available for donations (in-kind or cash) under $10,000. Please contact us at president@nanaimosar.bc.ca to discuss an option that might work for you and/or your business. NSAR is a registered charity and will provide tax receipts for all donations over $25.00.